Meyers Estate -- End of Whipple Rd and Mission Blvd. Make a Difference Day is this Saturday October 22, 2016. Each year our Lions and Leos Clubs' membership tackles a project at Meyers Park, at the end of Whipple Street east of Mission Blvd. Our Lions and Leos Club will be meeting at the Meyers Park at 9:00 a.m. to work on the grounds of the estate. 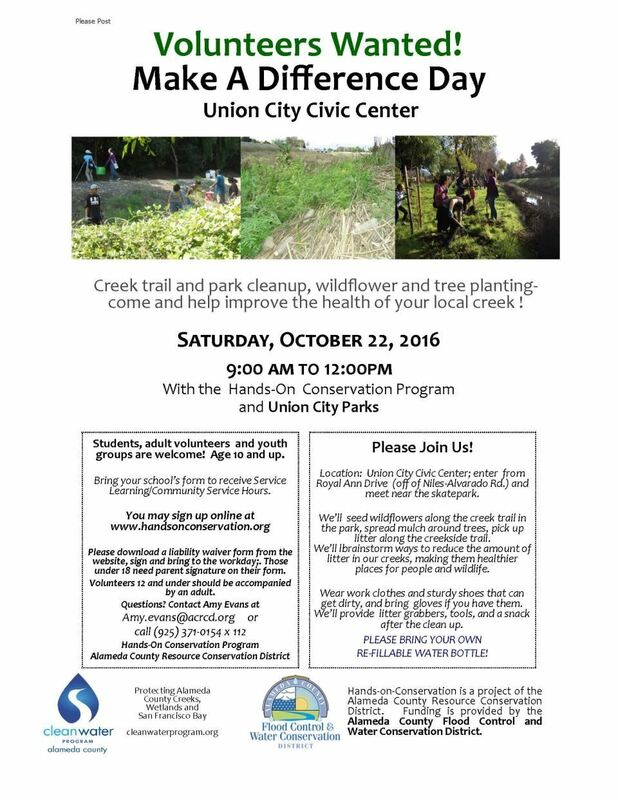 We will be planting wild flowers, mulching around trees and removing litter from the creek bed. This is a worthwhile community project which will be enjoyed by many persons from our community. All Lions and Leos are encouraged to attend. Leos may receive service hours for their participation! Attached is a flyer for additional information; Lions and Leos will meet at Meyers Park and not at the Civic Center as mentioned on the flyer!